Are you looking for the best Halloween music or ambient Halloween sound effects for your 2013 Halloween party? Or perhaps you’re hoping to scare the little trick or treaters as they approach your front porch this October 31? Nah – you wouldn’t want to do that… Maybe. 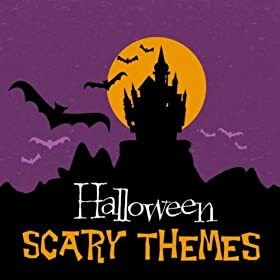 Well fret no more, for I have taken the task of sorting through Amazon’s Halloween albums myself and put this list of the top 10 Halloween Albums for your 2013 Halloween, however you want to use them. 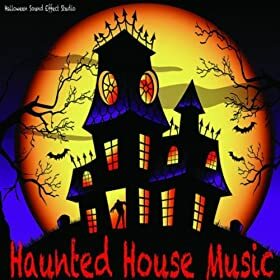 Perhaps not exactly a Halloween sound effects or collection of ambient music like some of the other albums in this list, this album – a collection of great spooky music at a low, low price brought to you by the X5 group, is a steal, containing over 11 hours of music. Some of the tracks include Toccata and Fugue by Bach, or the “Aquarium” from Saint-Saëns’ “Carnival of the Animals”. Of course, this album isn’t all scary with some of the tracks even sounding a little happy. Nevertheless, this is a deal not to be missed and contains many tracks perfect for Halloween. 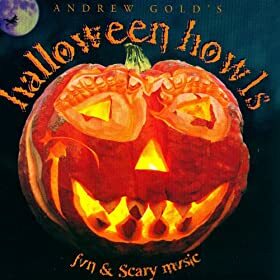 Released in October 1996, by Andrew Gold, this collection of creepy sounds and Halloween sound effects is now considered to be a classic. 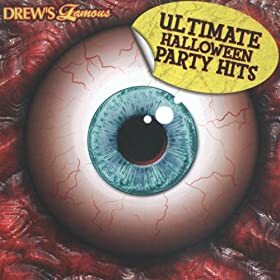 After all, Dr. Demento considers it one of the two best Halloween albums in history (I assume that the other is an actual Dr. Demento Halloween disc, called Spooky Tunes and Scary Melodies). Favs include Witches, Witches and Scary Skeletons! A fantastics ambient Halloween album from the great dark ambient band, Midnight Syndicate. These songs are previous releases from the band, but mixed specifically for the sake of Halloween. This is definitely one Halloween album that you don’t want to miss. It’s confusing – is this a Christmas movie or a Halloween movie? What is not confusing is that this is a classic soundtrack to a classic movie. 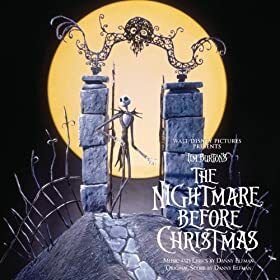 Also not confusing is how amazing Danny Elfman is at composing a great film score. 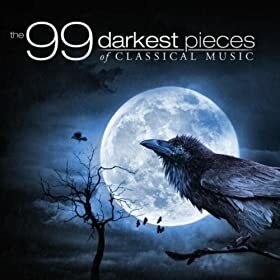 This isn’t one of those spooky sound albums that I adore, but you definitely want this on hand when Halloween roles around. Looking to replace your old cassette of spooky sounds? Need to blast some spooky Halloween sounds out the front window for the trick-or-treaters? 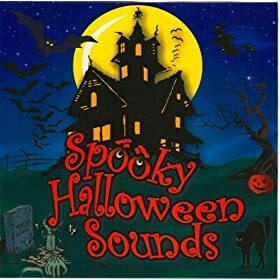 This incredibly cheap Halloween album features over an hour of screams, ghosts, howls, storms, on and on… Cheap spooky sounds at its best. Another album that will definitely fit the bill while you’re passing out candy on Halloween night. This album from Capitol features nearly 50 Halloween tracks. What do Ghostbusters, Thriller and Beat It all have in common? 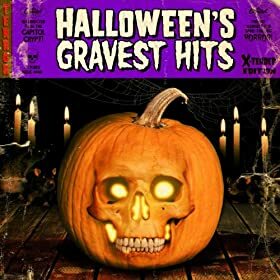 Well, they’re just three of the great Halloween classic tracks on this album. Other tracks include Monster Mash, The Time Warp, Frankenbass, The Reaper Returns and The Cryptkeeper. Awesome. Remember the creepy theme songs for the Exorcist? It’s one of those movie theme songs that just creep me right out. Fits the movie so well too. This album features that sone and all the greatest Horror movie theme songs. Includes Halloween, Rosemary’s Baby, Friday the 13th, Cape Fear, Dracula, Alien, X-Files and a load more. Seriously, some really great and memorable spooky tunes. 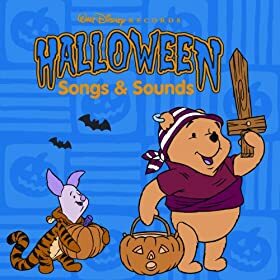 This is a classically formatted Halloween album from the great Disney. The album contains some songs and a bunch of sound effects. Perfect for the front door during Halloween eve. It’s a great little album for young trick or treaters and kids of all ages. Cute songs, great (not cheap) sound effects right from Disney themselves. Another 1 hour of ambient Halloween sound effects from Captain Audio. And again, super cheap. Impulse purchase maybe? « 2 Free Halloween Albums!